My digging buddy on this trip (worldrenowned Latin/jazz/Tropicália expert Mark Wimmers – hi Mark…) and I had spent this particular day in and around Princeton in New Jersey, trawling for five hours in the bins at the long-established Princeton Record Exchange and a few other spots in the town. Princeton is a must-visit destination on any NJ expedition. However, on this particular dig, the 7″s were thin on the ground… and this was our last day in the city. Out came Mark’s closely guarded little black book of contacts. “I’ve got an idea,” he announced. “Let’s call Joe in Teaneck”. 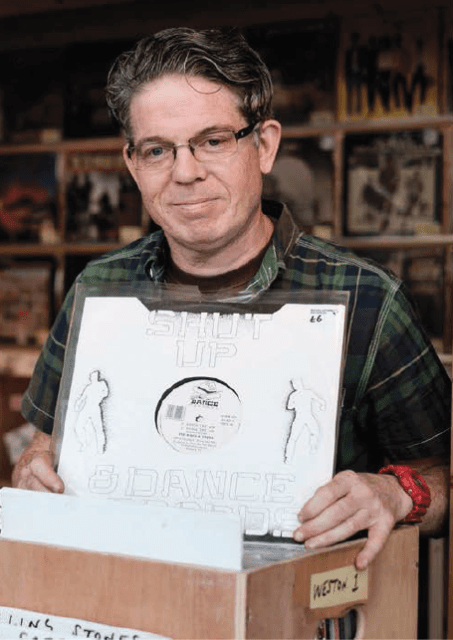 While we were waiting for Joe to pick us up in his flatbed truck, Mark explained to me how Joe used to be a big cheese on the NYC/NJ 7″ dealers’ circuit in the 80s, but was now semi-retired – and he still had a lot of 45s in his basement. Bring it on! We arrived at Joe’s wooden bungalow, with a basement downstairs. Joe just wanted to get back to the ballgame on TV: he simply moved the fake tigerskin rug on the floor aside and pulled up the trap door. “You guys want cold drinks?” he asked nonchalantly. Boy did we, the day was burning hot, mid-June. Enormous jugs of ice-cold Kool-Aid were handed over by Joe’s equally semi-mute wife and down we went, jugs and all. Six solid hours went by and the numbers were pretty good. As I said, Joe was semi-retired and his interest was waning. 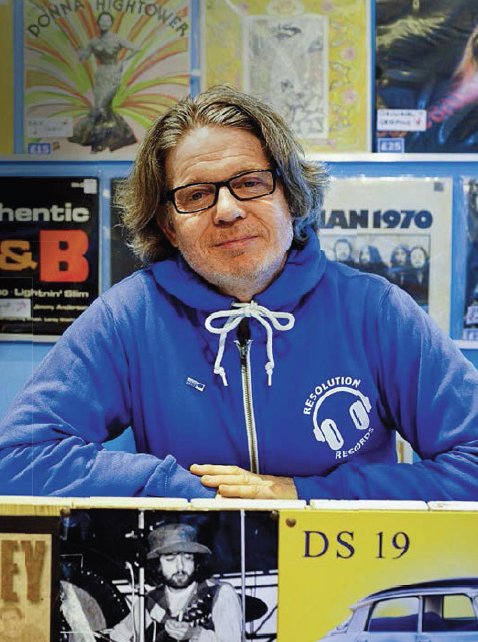 I can distinctly recall unearthing two absolute 7″ gems on that day: Bobby Reed’s The Time Is Right For Love, Bell (demo) and Carl Hall’s What About You, Columbia (issue), both highly prized Northern Soul bangers. Mark was pulling out some lovely Latin 45s on Tico, Fania and Cotique – no major killers, but definitely some extremely saleable stock. By about 9pm, we were flagging and my head was spinning. We’d been in this airless aircra hanger since before 3pm and I reckon around 450 very solid 1970s soul/funk/Latin/jazz 45s had been pulled out – all $1 a pop. That’s my 50s and 60s room,” Joe yelled back. 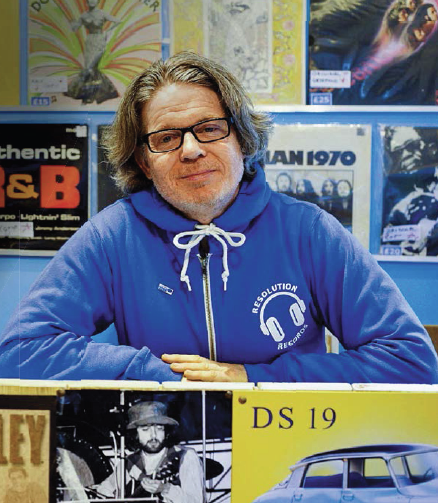 “Nobody’s even been in there for around 15 years.” This guy actually had a whole room dedicated to 50s and 60s 7″s! I managed to push the door back a couple of inches and somehow jammed my head into the small gap to get a look at what was in there (a bit like Jack Nicholson’s famous ‘Here’s Johnny’ scene in The Shining). Right before my eyes were literally thousands and thousands of 7″ singles, all piled up horizontally, all out of their sleeves and stretching out as far as the eye could see, right into the gathering gloom. I guestimated that there were around 100,000 7″s in that room. God only knows what we would have found in there – judging by the 1970s area, it would’ve been a stupendous hit.